Do you remember sitting in class with a blank stare, gazing into the pages of your school books or worksheets? Can you recall the firm toned voice that boomed from the front of the room, "Pay attention and focus on what you are learning." There's absolutely no question that the material was valuable, but at the time, your mind drifted off into outer-space somewhere or daydreamed of the next outdoors adventure as soon as the school bell rang! Children of every age face challenges of divided attention and tend to naturally tune out at one point or the other. Why? Well, can you blame a young developing mind bombarded with high-quality animated programs, digital technologies, and trinkets of every size, color, and shape? Brain research suggests that a child's brain continues to develop well into their twenties. This idea alone provides a fresh perspective into the pace of learning and serves as a gentle reminder to build in a strong element of patience allowing your child to grow through incremental progress. What story can I explore? Once we recognize and fulfill these core concerns for a child, we stabilize their mental and emotional environment. In contrast, as a teacher or parent, we are asking questions at a very different level regarding progress, completion and mastery. Thus, the first move to engage your student is to understand them and communicate at their level. Use colorful words, sounds, and touch to connect at the primary level of being present. Next, employ each of the following practical steps to captivate your child's interest, reduce stress and cultivate a more enjoyable learning experience. What child does not love stories? Immediately upon hearing the words, "Once upon a time," a child's head turns, their eyes open wide, and they tune in with keen listening ears. As one of the most powerful tools for learning, educational storytelling works on virtually any subject, any topic, at any time. Storytelling activates the imagination with fun, motivational images and helps develop social, emotional and behavioral skills. Praise goes a long way. There is a direct link between encouragement and focus. When kids receive genuine praise, they tend to give added effort to the task at hand for the sole purpose of reinforcing how well they are performing. As Dale Carnegie mentions in his book How to Win Friends & Influence People, "Give the other person a fine reputation to live up to." Although recognition of their efforts can capture a child's attention, your words should be used with caution. To learn the best practices of praising your child, please read The Hidden Dangers of Praising Your Children. Little rewards go a long way. Stickers, fun trinkets from a treasure box, and happy faces drawn on their assignment have a significant impact on a child's motivation to complete a task. 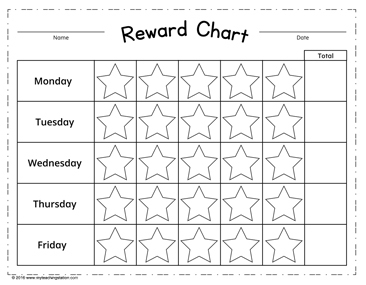 Children remain engaged in an attempt to receive as many rewards as they can already count. Use a timer with sound. Children who are aware of a time limit to complete a particular assignment, are subconsciously influenced to remain focused and engaged until completion. This exercise develops self-discipline and self-control. 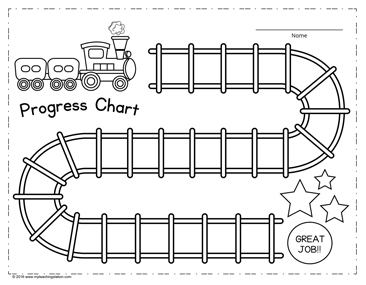 Progress charts are an excellent way to motivate your child to complete their assignment as they are naturally wired for progress and look forward to reaching the "completed" mark. As the saying goes, "children are great imitators, so give them something great to imitate." 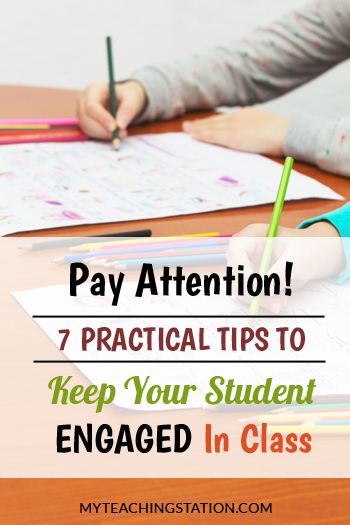 Pay close attention to your child and the particular task he or she is performing. Your close observation is a nonverbal signal of your genuine interest and love. Reserve texting, web browsing or checking email for a block of time away from your child as they are more interested in what you are doing than the activity before them. Consider closing doors and windows to reduce noise. Put away all unused materials, turn off your phone and limit your computer time. To create consistent results, make a list of everyday distractions for reference just before classroom time. In addition to these seven practical steps, utilization of fun and playful activities will help your child develop the power to focus and exercise self-management skills. For a list of helpful activities, please see How to Promote Your Child Listening and Speaking Skills With Fun Activities.